MAFS Dean Wells claims he "never" had feelings for Tracey Jewel. "I never had feelings for her." 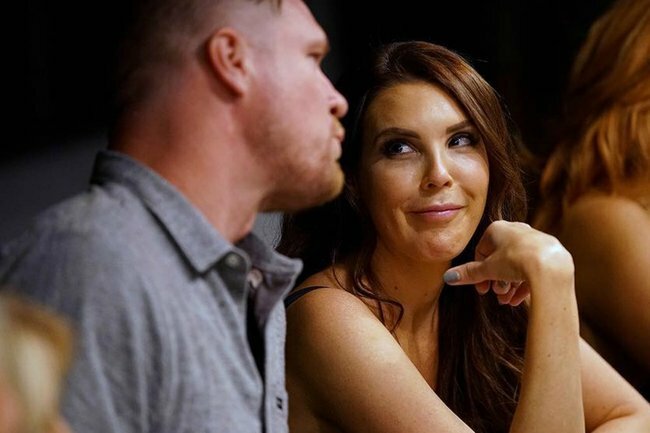 MAFS' Dean just denied he ever liked Tracey and we're confused. Just days after claiming (aka: joking) that he and his fake ex-wife Tracey Jewel are back together, Married at First Sight’s Dean Wells has just denied ever liking Tracey. In an incredibly awkward on-air conversation with current Married at First Sight contestant Mike Gunner, Dean asked Mike if he had been pressured to tell Heidi he loved her during last night’s final vows ceremony. “When you said I love you when you went through those vows, was there a little bit of BS in that?” he asked Mike during Fitzy and Wippa’s morning radio show. It’s safe to say Mike wasn’t exactly impressed with Dean’s comment. “I’m a bit disappointed to hear that frankly,” Mike responded. Things then proceeded to get even more awkward when Dean asked Mike about how many women he had slept with since starting on MAFS. “All right, Dean, I think we’re done here, buddy,” Mike replied. On April Fool’s Day, Dean shared an Instagram post, claiming that he was back together with his MAFS (ex) wife Tracey. “Despite our differences, and all that we have been through, in the long run it seems the experts may have got it right,” he wrote. If you cast your minds back to season five (which seems like a long time ago), you’ll recall their pairing didn’t end well. While Dean told Tracey he loved her at their vow renewal ceremony, Tracey responded by telling the 40-year-old creative director that she didn’t want to continue their relationship outside the experiment. Throughout the series, Dean had been two-timing his wife with fellow contestant Davina Rankin while Tracey later went on to date her MAFS co-star Sean Thomsen. What do you think about Dean’s comments? Let us know in the comments section.